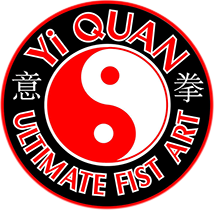 A free trial class is the best way to find out if Yi Quan Kung Fu is for you! The trial class will include an introduction to the centre where we will show you around and discuss any personal goals or concerns you may have and how we can help. You will then join in the class to get the full experience. We ask that you please book in advance so we can insure there is an instructor available to welcome you and that you arrive at least 15 minutes before the class start time so you can join in from the start. Please fill out the below form and one of our instructors will be in touch shortly, otherwise call 9564 2444 and we can book in your trial right away. Do you have a preferred day or class in mind? How did you find out about us? It's always good to know where we are making connections with the community.